Pure Essential Oils to Use for Weight Loss - Use a recommended essential oil alone or together in a blend. CELTIC SALTS or Grey salt are a "moist" unrefined sea salt usually found along the coastal areas of France. Its light grey, almost light purple color comes from the clay naturally found in the salt flats where Celtic salt is harvested. Collected by hand using traditional Celtic methods Celtic salt has gained a growing reputation among the world's culinary experts as the best quality salt available. Natural Celtic salt is available in coarse, stone ground fine and extra fine grain. 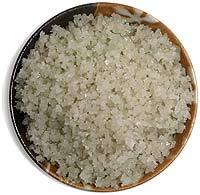 Celtic salt that is used for PurePlant Essentials organic smelling salts are the plump, coarse ground variety. The natural moistness of the green clay in this coarse variety of Celtic salt allows for fast penetration of the pure essential oils making it an excellent carrier for their aromatic scent. Another remarkable feature of Celtic salts is how long lasting your pure essential oils retain their freshness and therapeutic results for inhalation purposes when absorbed and preserved in the Celtic salt. Consider using Celtic salts as a carrier for your more expensive oils like Rose and Helichrysum. Clients tell me how much they love the steadfast company of their aromatherapy smelling salts! Put a small amount of Celtic salt into your bowl, then fill your vial with salt. Finish by adding 3-4 drops of your pure essential oils and cap tightly. Shake the vial vigorously for a minute or so to disperse the essential oil scent which will be absorbed into the salts. The natural moistness of the green clay in Celtic salt allows for fast penetration of your pure essential oils, making it an excellent carrier for aromatic scent. Your Celtic smelling salts are long lasting, up to 3-4 weeks, as the pure essenital oils are absorbed and preserved in the Celtic salt. Celtic salts. Your Celtic salts make a wonderful carrier for appetite suppressant, depression, anxiety and headache relief oils. Here are the pure essential oils I recommend you use for your Appetite Suppressant Celtic smelling salts. LEMON - Brain research conducted to learn about the effects aroma has on the brain discovered that lemon oil activates the center of the hippocampus and triggers left brain, rational thinking. Take a whiff of Lemon pure essential oil and your emotional triggers for sweets and second helpings are instantly short circuited. 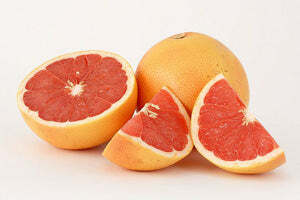 PINK GRAPEFRUIT - Organic Style Magazine - featured an article on 25 ways to lose weight naturally. At number 12 was the inhalation of grapefruit oil. Research from the Institute of Aromatherapy in Toronto, Canada noted that smelling grapefruit oil helps curb "sweet" cravings. SWEET ORANGE - A rejuvenating and uplifting tonic Orange oil has a very sweet and fresh orange aroma that's warm and inviting. Orange oil lifts your mood and soothes your emotions. 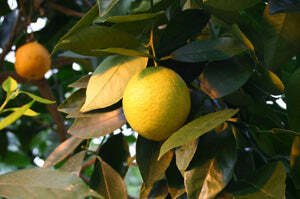 As a nerve tonic Sweet Orange is a happy oil and eases physical and emotional tension. Was this article helpful to you? Please leave your comments.